Oak pretty much represents that elegant, old and sophisticated look that would complement every room as an interior design idea. This type of wood is a great choice as its only change over time is a slight darkening like a well-aged wine. If you want individuality and an old time elegance then parquet blocks should be your choice as they can be made to fit any kind of patterns like the herringbone and some of them even more intricate. 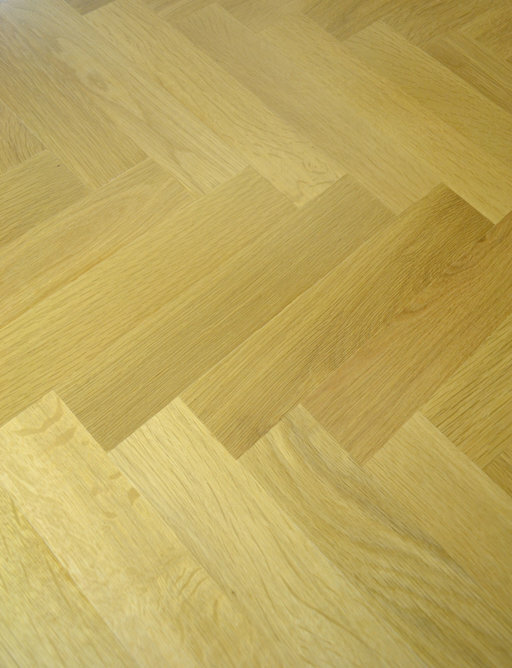 Solid oak can be easily made in parquet blocks like these ones with measurements 20 mm thickness, 70 mm width and 230 length and it's in the great prime flooring grade where all the blocks are carefully picked to be in the same colour and have no visible defects. Book qualified installers for your for only £00.00 excl. Vat, based on the Area specified above. Offer is excluding of Accessories and other services. Unfinished products will require additional sealing & finishing service, not included in this quote. Our Final fitting Quotes come with 2 Years Service Guarantee and are subject to an Obligation free site visit (currently London areas only). Smaller sized areas (below 15 sqm) will be subject to a minimum charge.